Tie, splice, or lash to almost anything. 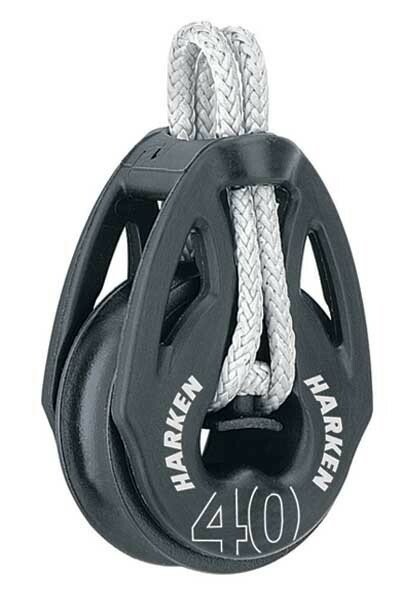 The all-composite T2 is the first block with no metal shackles or rivets to corrode and is the lightest soft-attach block Harken has ever designed. Soft attachments provide a fair lead to reduce friction. Use for: lightweight traveler controls, in mainsheet and vang systems, cascades, bridles, and more.